We are living in the era of the internet, and saving files in the cloud is an essential part of our data security. Cloud backup services are plentiful, and finding the right one for you can turn out to be a bit of a struggle. This guide will help you find all the information you need to choose the cloud backup service with the most storage and the best capabilities possible. Which service do you prefer using to save your files on the internet? To say the field of cloud backup is a total mess would be an understatement. Popular services aside, new ones sprout up almost daily. At the same time, many cloud backup services shut down before they even celebrate their third birthday. At the end of the day, odds are most of us will end up stuck with one of the most popular services. Of course, that won't necessarily mean they are the best; they're just the most well-known. However, those large companies are known to offer between 2GB to 15GB of file storage. Best case scenario, one could probably get a few extra GB for sharing the service with a friend, or through some promotion. As such, in this guide, we will first present the most generous providers with substantial free services and useful features. Next, we'll have a look at a few of the most well-known cloud backup providers. Last, but not least, we will then show you two exceptional services that can gather several cloud backup services in one place and combine their storage, no matter how popular they are. It's worth noting that we won't be mentioning some popular Chinese services that offer potential storage of several terabytes. The reason for that is that we found that these services are painfully slow. Flying all the way to China and back would probably take less time than uploading a couple hundreds of gigabytes. It's true that specific cloud services offer generous plans to gain more users. Despite that, several of them just seize to operate after a while, or even worse, malfunction. 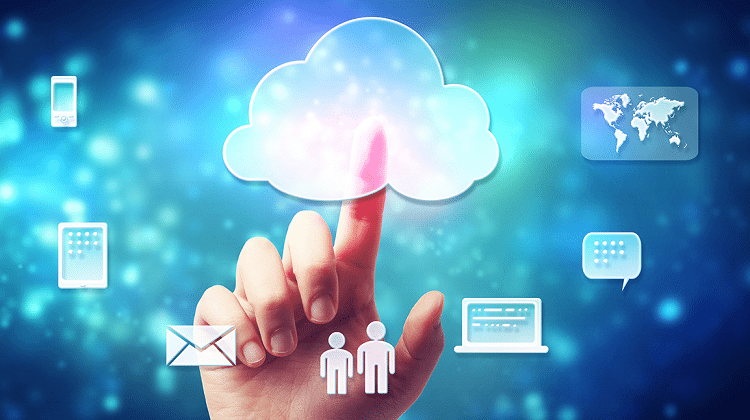 Several cloud backup services offer large storage or are exceptionally popular. Among all of that, there are a few services that although not that well-known, do stand out and deserve your consideration. For this guide, the only criteria for a service to qualify for a mention is storage of 10GB and above. Mega is a service with a base in New Zealand. It was founded by a German businessman, Kim Dotcom, in 2013. Incidentally, he is also the creator of Megaupload, although he has cut ties with the service since. Aside from the 50GB of storage Mega offers, it goes one step further than the competition. It also provides encryption for every step of the process. Mega encrypts everything we might want to send in the cloud locally, along the way, and inside the destination's server. Even Mega itself has no way of accessing our information, as we are the only ones who have the encryption key. The result is that everything we send in the cloud using Mega will only be accessible to us. Of course, this doesn't come without its drawbacks. Forgetting your password, for example, can lead to having a very unpleasant time. The service tackles this problem by providing users with a key, which comes in the form of a text file. It is available for download as soon as you sign up. 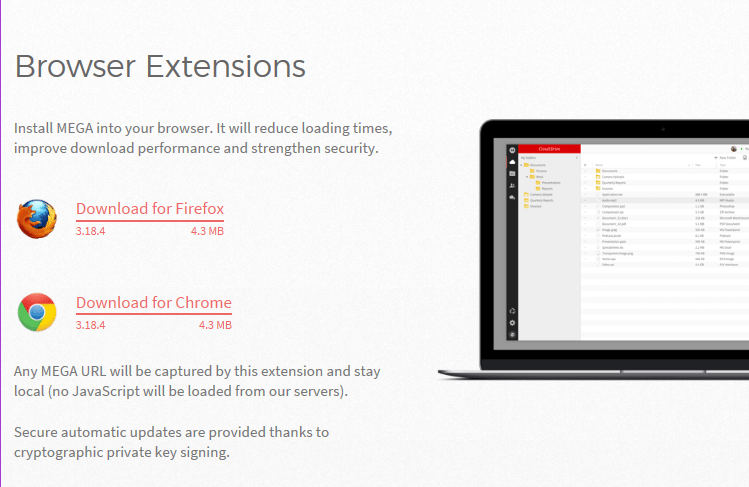 For easier access to the service, we can download the Mega extension for Chrome and Firefox. Clicking on the extension would now be the only necessary step to connect to the service's cloud. Additionally, these apps are also available for iOS, Android, Windows Phone, and even Blackberry. MEGAsync is the most useful weapon in the service's arsenal. It is essentially a desktop client for Windows, Mac, and Linux. Mega creates a main folder on our computer, to which we can transfer anything we like. This action also triggers file saving and uploading in Mega's cloud. File synchronization and saving are done automatically, just as we would do with Google Drive or Dropbox. The client sporting the distinctive red icon will always be available in our taskbar. There are two options when it comes to cloud synchronization. 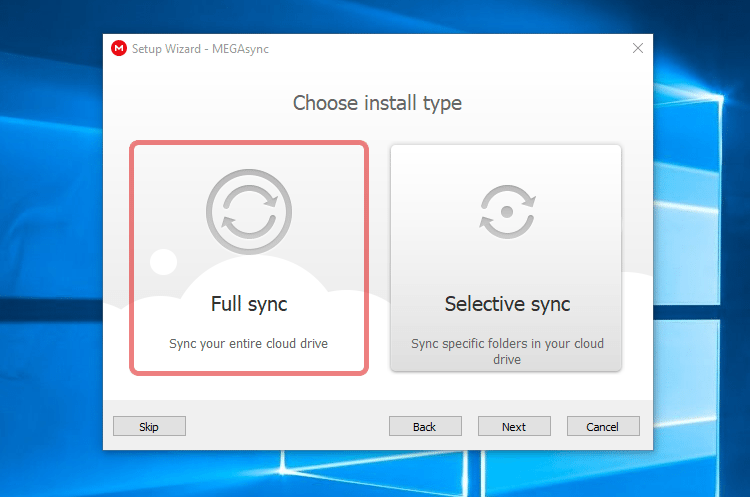 "Full sync" to sync your entire cloud drive, and "Selective sync" for specific folders. It's worth noting that your free account will expire if you do not use the service at least once every 90 days. This is something that can potentially annoy some users. 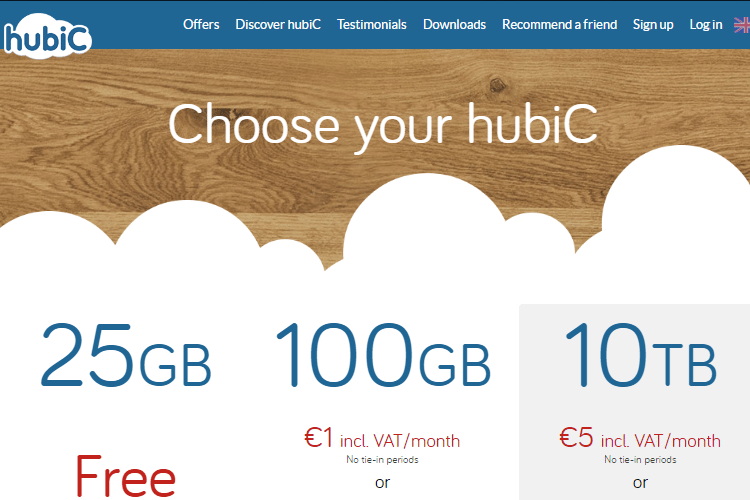 hubiC is a relatively popular service. Its name comes from the phrase "hub in the Cloud." 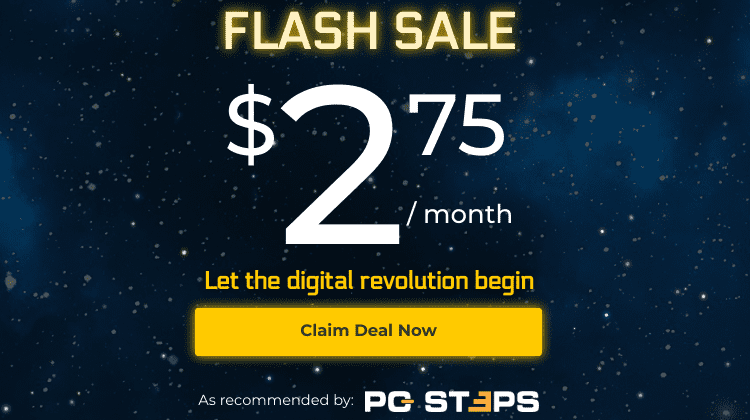 A standard sign up offers 25GB. However, if someone uses a referral link to sign up for the service, they can start with an extra 5GB. 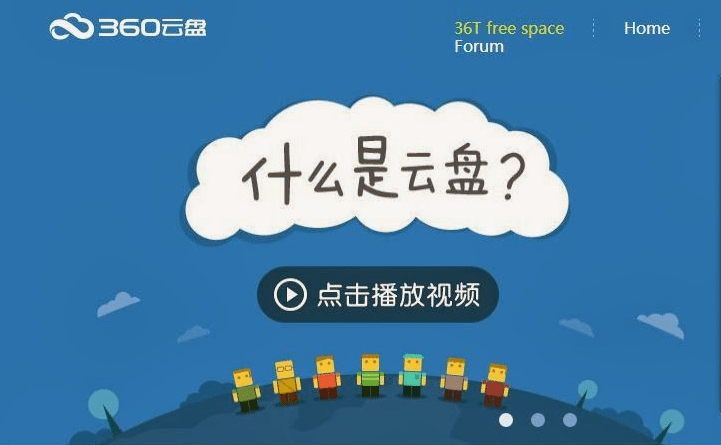 Users can also invite up to four friends for a combined total of 50GB of storage. Every one of those friends gets the additional 5GB we mentioned earlier. 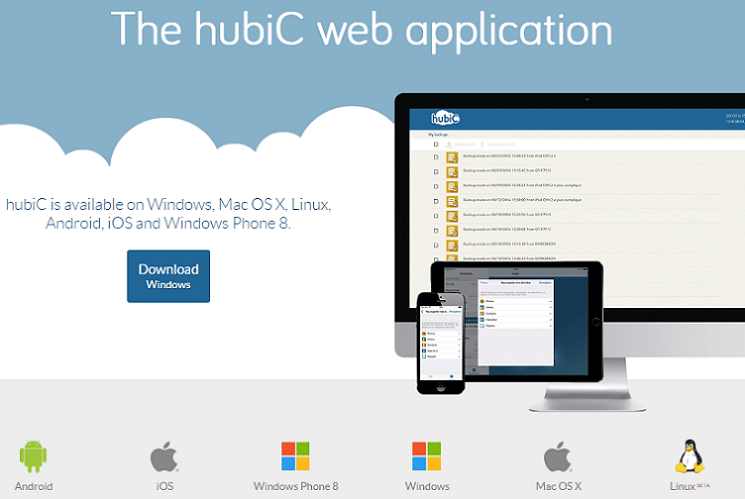 In hubiC we will find clients for Windows, Mac OS X, and every type of smartphone out there. Theoretically, there is also a client for Linux, but its function is limited to a command prompt. Not to dwell on it, but it's a pretty big mess. To add insult to injury, install instructions can only be found in the company's forum. That means that users who are not familiar with the English language will have to either count on Google translate or take a shot in the dark. As for the Windows client, we would only have to click the button shown below. After the admittedly easy client install, we will have to restart our computer. Next, we will have to sign up through the app's interface when we decide to run it. Of course, we can also complete the sign-up process online through the link we will provide at the end of this section. From that point on, we will have a hubiC folder on our computer. We can now save files and sync the content to all of our devices. 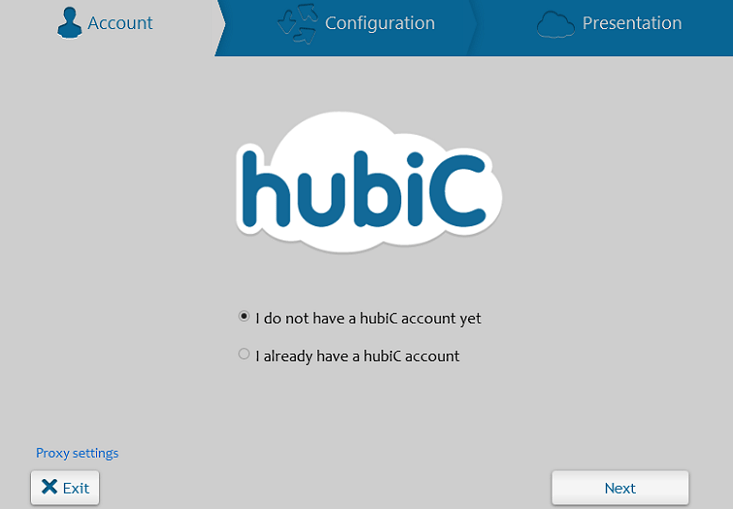 Whatever we transfer or save inside this folder will be uploaded to hubiC, so we can access it via a phone or tablet that can run the service's app. The client will be active in the taskbar. Files are only encrypted when transferred, and there is no local or server-level encryption. This means hubiC is a little less safe than Mega. 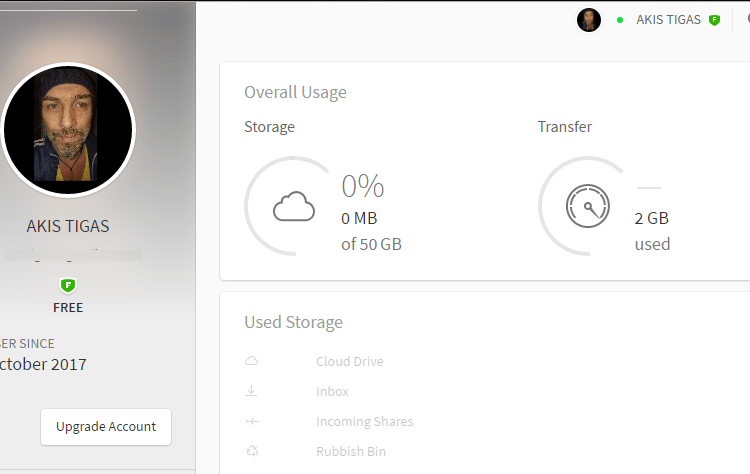 pCloud starts us off with 10GB, which can turn into 11GB if we log in via Facebook. We can increase this limit for free, up to 20GB. This service has a client for Windows, Mac OS X, Linux, Android, and iOS. 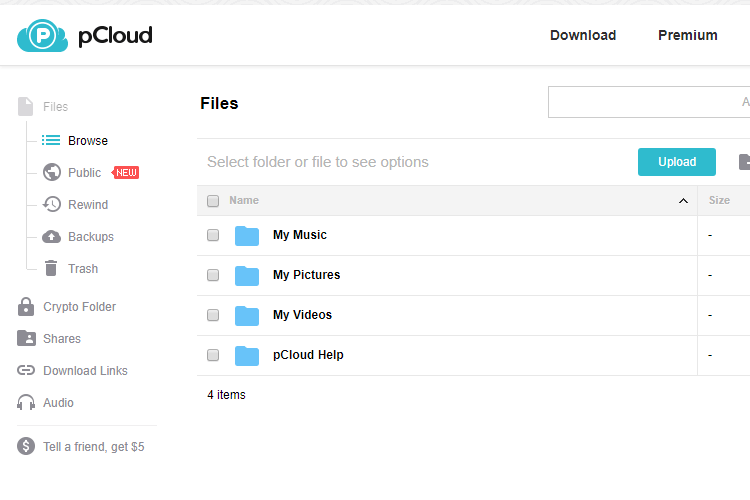 pCloud provides users with efficient synchronization, safe backup files, and file sharing. 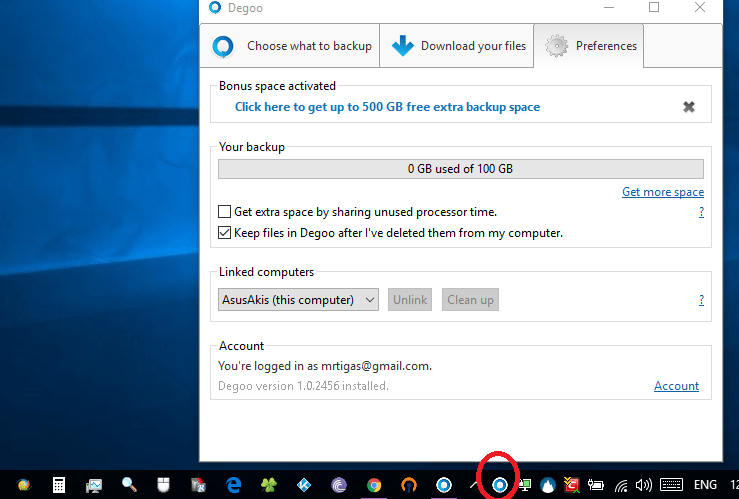 It's not as generous as the two cloud backup services we mentioned earlier, but it has several extra features. One of those features is its capability to automatically create folders depending on the type of file in question. As such, image files go to "My Pictures," music files go to "My Music," and so on. The service's most useful tool is the pCloud browser extension, which is essentially a web client. The extension is available for Chrome, Firefox, and Opera. 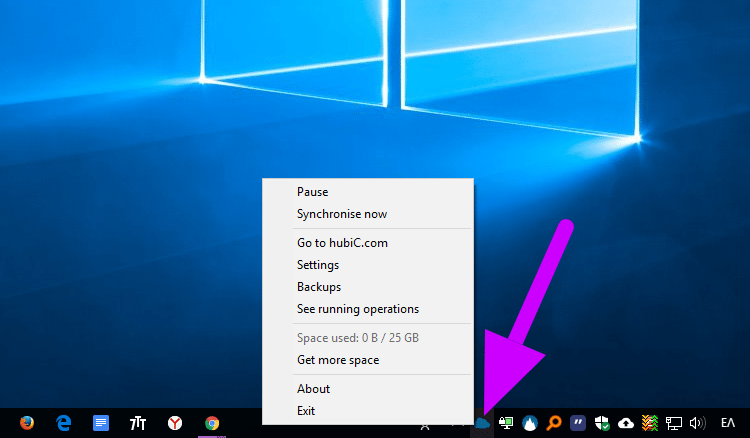 The service also gives us the option for a desktop app if we want to install the application on our computer. Yandex could be described as the Russian Google. It's a search engine that takes up 60% of the market in Russia and is the fourth most popular in the world. 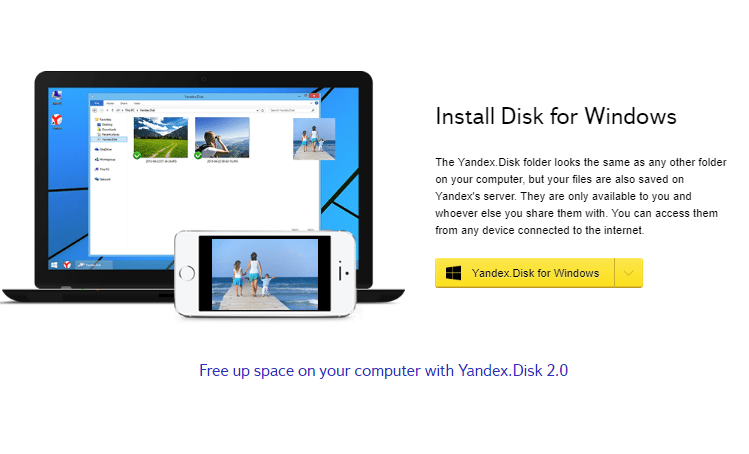 In Google Drive standards, Yandex.Disk offers 10GB of storage, without the capability to expand it for free. That said, the service has a client for every platform. That includes Windows, Mac OS X, Android, iOS, and Windows Phone. 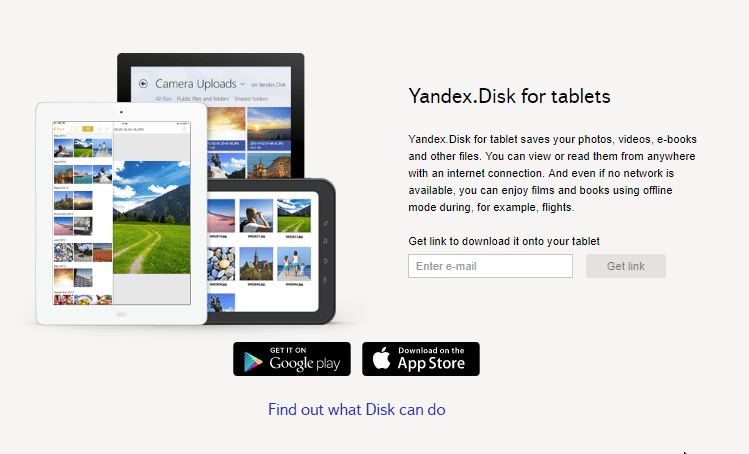 Yandex.Disk is a cloud backup service which offers more than satisfactory levels of security when it comes to saving files. The client is oddly similar to Dropbox or... a flying saucer. 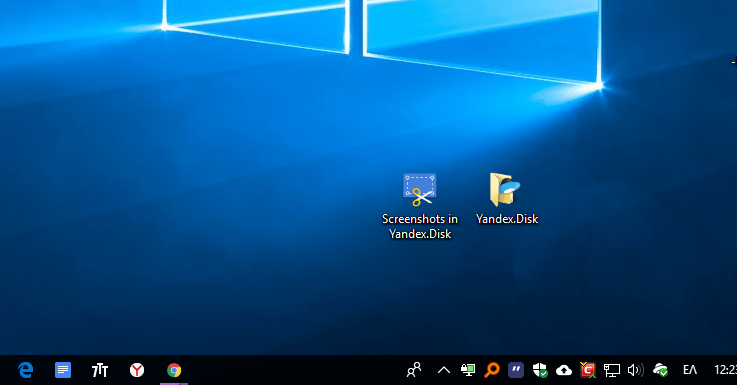 The Yandex.Disk folder looks just like any other folder on our computer. Whatever we choose to drag in the said folder is saved in Yandex's cloud. The files are only available to us, and to anyone we decide to share them with. 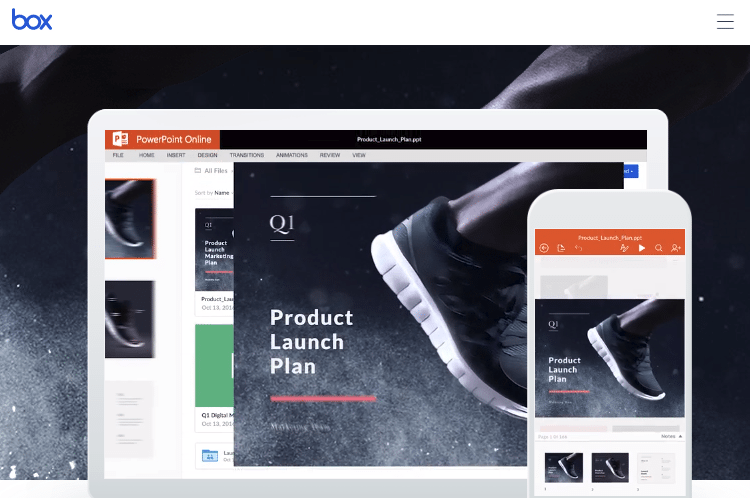 Downloading the client also offers users a small app, with which they can take screenshots of their desktop, among other features. 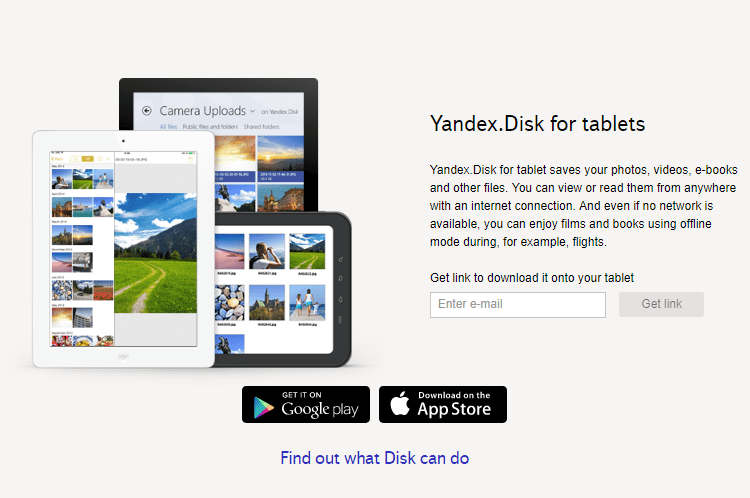 As such, Yandex.Disk allows us to access our files via any device connected to the internet. Files are saved locally and can be synced between several devices if a direct connection is present. Consequently, any folder we keep on our computer can be transferred and edited in a mobile device. One advantage the web client offers is that we can open, edit, and even create folders on Yandex.Disk, precisely as we would in our browser or a similar app. We left the service with the most generous cloud backup for last. That's because, for us, the service's client did not run in Windows Fall Creators Update, version 1709. It only ran in Windows 10 version 1703, but there were still issues. If a web client was available, we could have probably bypassed this malfunction. However, the capability for cloud backup through the web is unfortunately not there. We are hoping that it's only a matter of time until there's an update and that the service won't just shut down as SurDoc did. Coincidentally, SurDoc also offered 100GB of free storage. That said, the Swedish service offers a free trial of a cloud backup of 2TB. We thought that at least mentioning the service was necessary despite its drawbacks. The last of these disadvantages is that its client doesn't offer file synchronization and a few other features that a cloud backup usually provides. However, 100GB is a significant figure when it comes to saving files in the cloud. 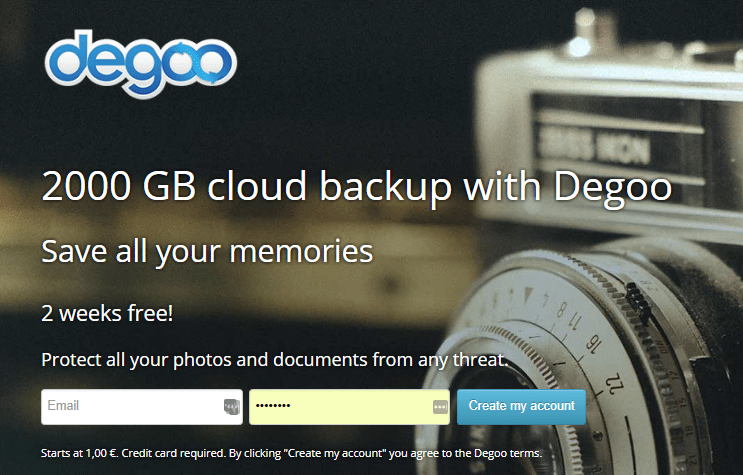 Degoo also creates safe backup files of our data every 24 hours. At this point, some of the previous cloud backup services we mentioned would probably burst out in laughter at the sight of the meager GB the more popular providers offer. However, it's more than likely that most of us are probably using one of those services since they are the ones we know and trust. As such, there's no need for fancy introductions, as the pros and cons are already established for the most part. 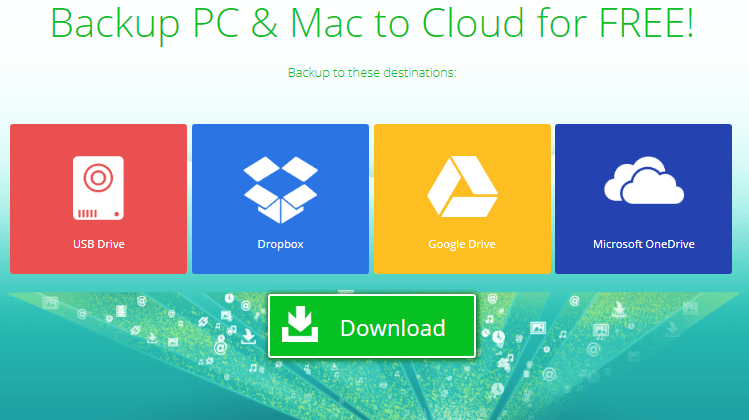 This is by far the most popular cloud backup service among PCsteps readers, as Dropbox has taken the top spot in one of our polls in the past. The storage starts off at an incredibly low 2GB, but going all the way up to 18GB through friend referrals is pretty straightforward. Dropbox used to provide several opportunities for additional space expansions in the past, but it's been years since we last saw anything like that. One of Dropbox's best qualities is its exceptional client. It has versions for Windows, Mac, and the most substantial Linux distributions, as well as a similar level of support for mobile devices. 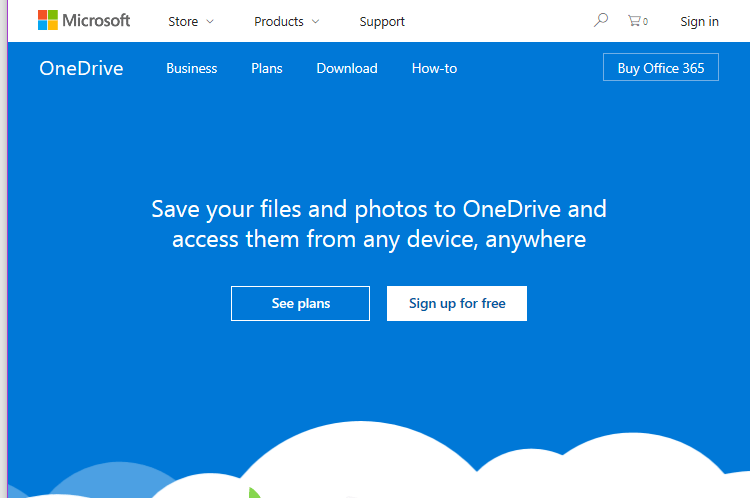 Despite the fact that Onedrive used to offer 15GB, it now only provides 5GB to every new user. Microsoft used to put together promotional efforts that awarded users with additional GB, but the chances of anything similar happening again are pretty slim. 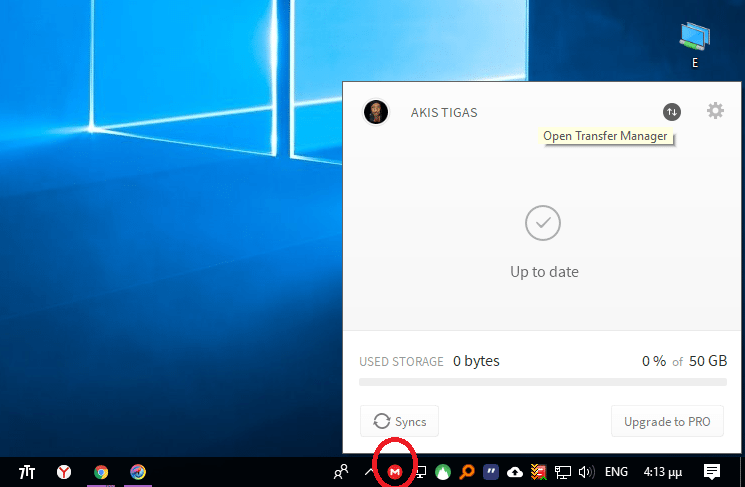 Onedrive presents the fact that its client is integrated into Windows 10 as a "bonus," whether we like it or not, and there is no official app for Linux. However, there is a method of getting Onedrive to sync on Linux by the use of a third party script, which we will cover in a separate guide. 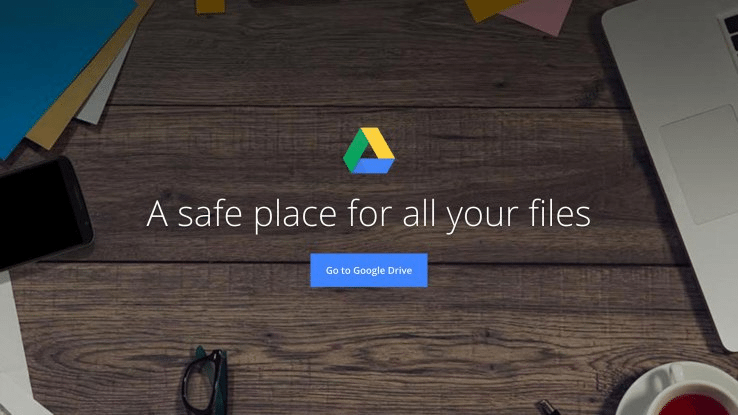 Since Google Drive comes hand in hand with a Google account, there are hundreds of millions of Google Drive users today. Of course, some of them might not even know about Google Drive. Due to their massive figures, Google doesn't need any promotional actions that could help extend available storage. That said, every so often, they do offer extra storage to all users; after all, Google Drive started out with just 5GB. 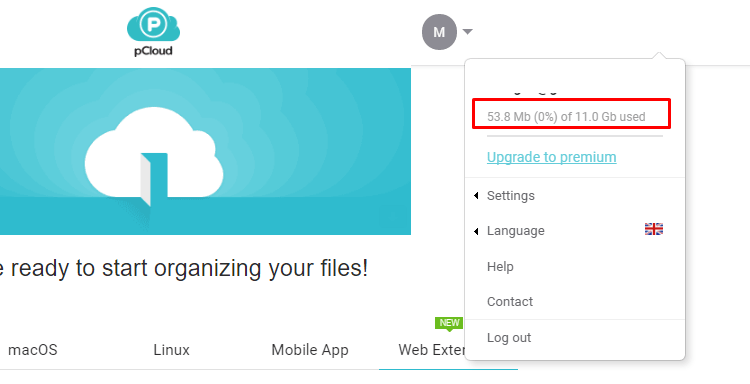 A previous promotion, which had more to do with the entire account's security rather than of Google Drive itself, allowed users to increase their storage by 2GB. 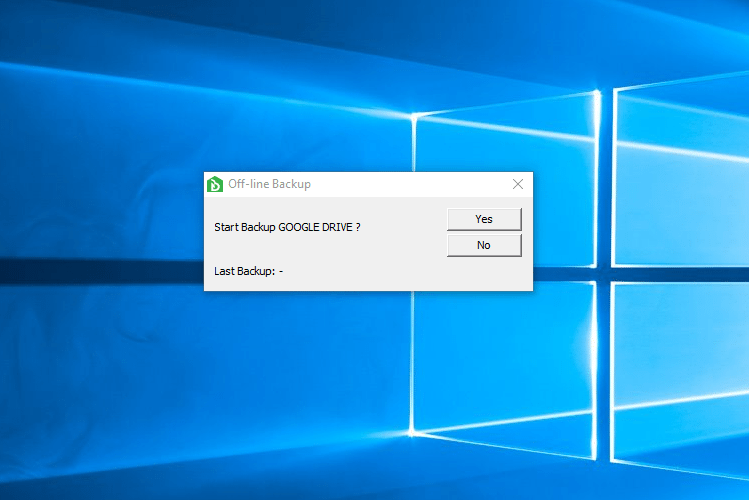 A Google Drive client for Windows and Mac OS X is already available. Linux users, on the other hand, will have to settle with the fact that they'll have to go through a bit of a hustle, as there are a few ways around to bypass certain obstacles. 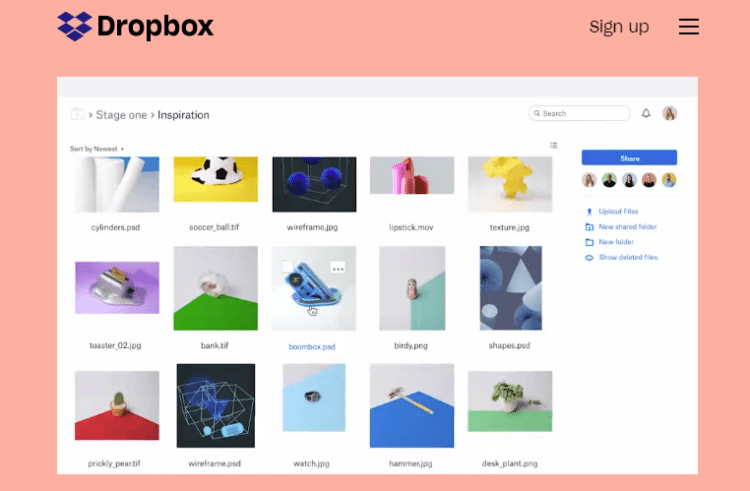 Although its name might suggest that it tries to steal some of Dropbox's glory, Box is quite a bit older. It received its first funds in 2005, while Dropbox didn't exist as a company until 2007. Today, signing up for Box will immediately provide us with 10GB, allowing us to save files of up to 250MB in size. There are a few sporadic opportunities to increase capacity, but there is no concrete referral system or anything of the sort. Box has a client for Windows, Mac OS X, and every kind of smartphone available, but not for Linux. Additionally, users can gain access to an app called Box Edit if they have Microsoft Office installed. Through this app, choosing to "Edit" an office folder in our account will result in the file immediately opening in Word. As soon as we save it there, the app will update it online. Many of us might want to have an active cloud backup from several services simultaneously. However, if we have several "clouds" under different services, we will have to devote significant amounts of time to management to be able to access all of our files. The following service can help us gather all of the cloud backup services we've seen so far in one place for ease of access. 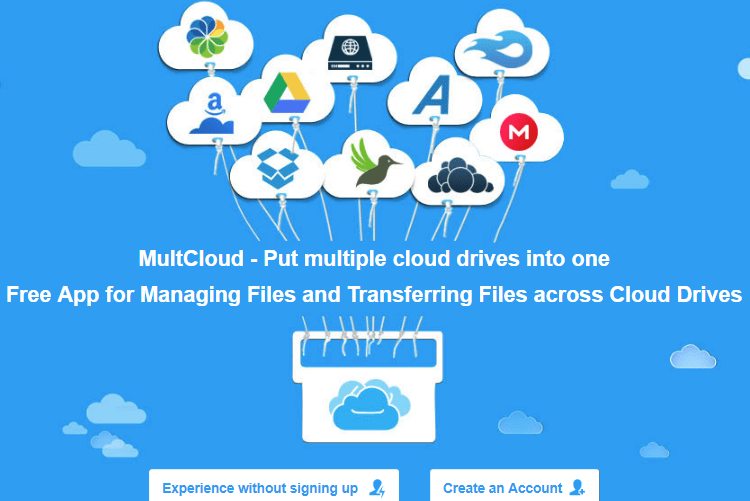 Multcloud is a free service that allows us to access almost every cloud. The main advantage this option offers is the capability to manage files saved in the cloud as if they were kept on our computer's hard drive. 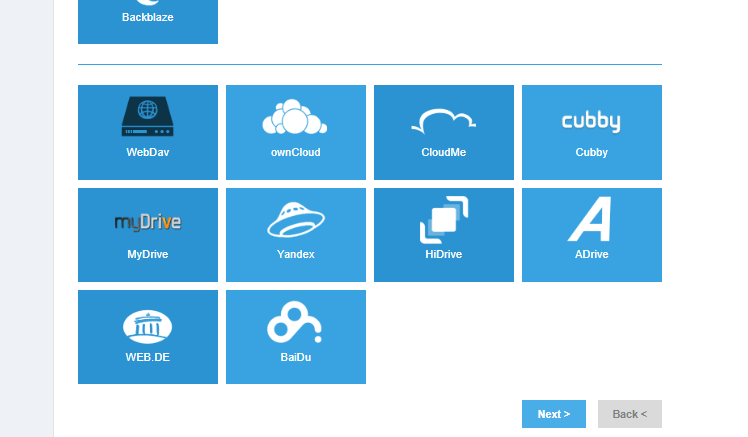 Multcloud is essentially an online version of Windows Search, more or less. In other words, it allows users to access several services in one place. The service comes with all-in-one file management. That includes uploading, downloading, cutting, copying, pasting, deleting, sharing, and much more. We can even schedule all of those actions. 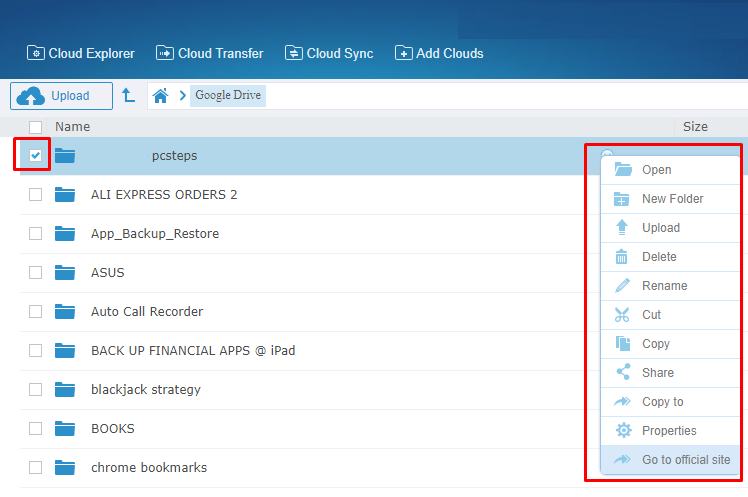 Multcloud eradicates the need for multiple applications-clients to access all of our files. It also allows us to copy or move files between services. 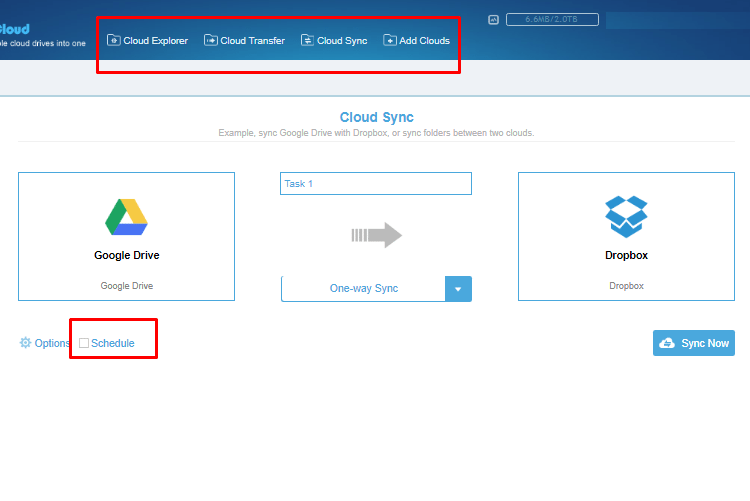 For example, we can move a file from Dropbox to OneDrive, or from Google Drive to Mega, hubiC, Yandex and so on. It can also operate as a cloud browsing app that allows users to search for files among different services. It's not unusual for the meager GB popular services to leave consumers feeling unsatisfied. Unfortunately, looking for a solution among third parties usually requires lengthy OS comparisons. Additionally, despite the abundance of free services with plenty of storage, most users aren't willing to install a dozen clients to get a decent cloud backup in the range of around 150-200GB. 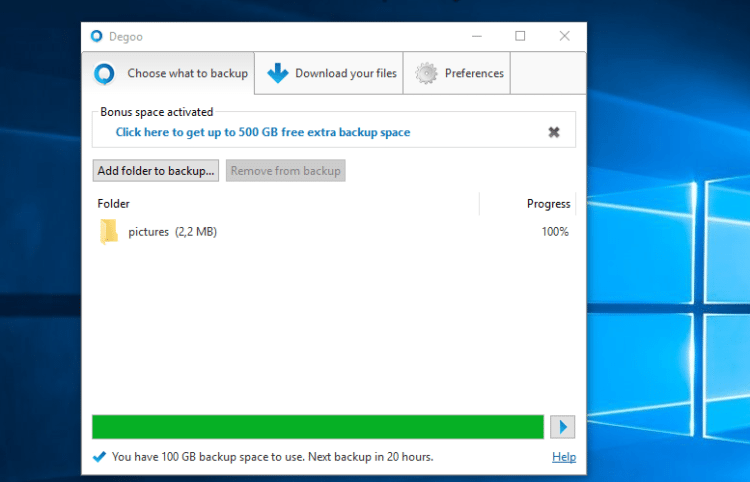 And if that wasn't enough, it's almost certain that most of us don't want to waste money on a paid cloud backup service in exchange for extra storage. Fear not, however. A great, free alternative is available to take that weight off your back. This is a rapidly growing open source software. It essentially combines several free cloud backup services into a single place, providing the maximum storage possible. 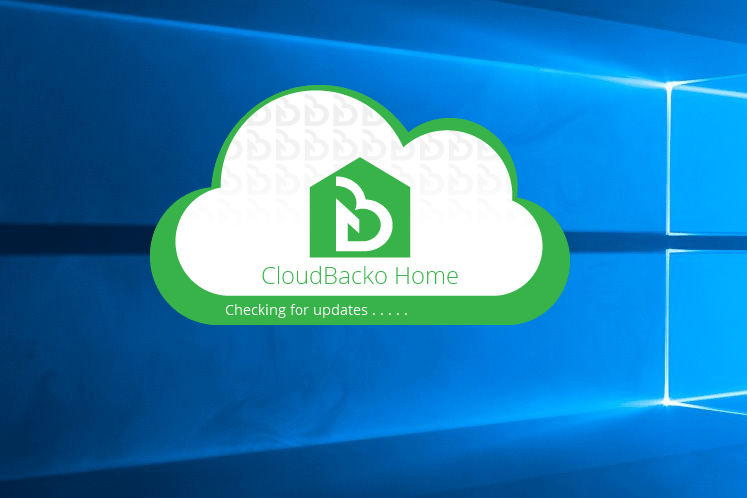 CloudBacko Home can combine the clouds offered by Google Drive, OneDrive, Dropbox, and many more, through a single client. CloudBacko stands out because it does much more than simple management, as in the case of Multcloud. It also offers scheduled and automated backups from all of your different services through a single client. 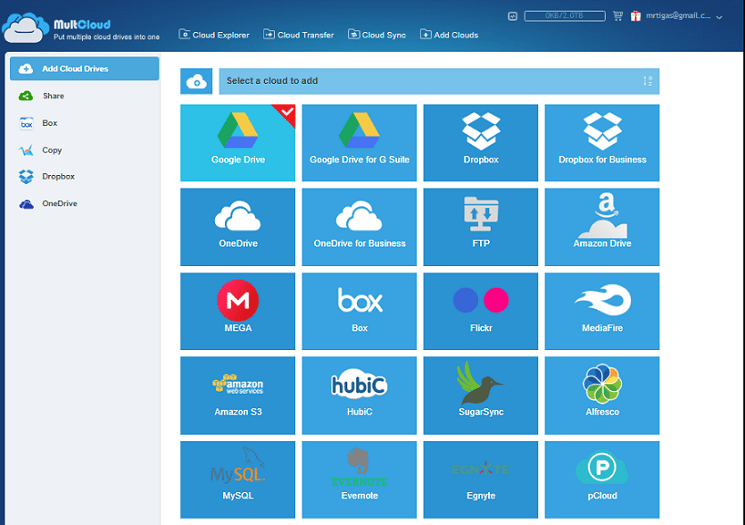 Aside from popular cloud backup services, CloudBacko also supports Windows Azure, Amazon S3, Google Cloud Storage, FTP, and SFTP. Additionally, it supports external USB drivers and local or network drivers. As such, we can have the maximum combined storage possible by adding all of our free service accounts into CloudBacko. The software creates frequent secure backups of the most critical files and folders we have indicated. This can be done offline, locally, or online in the cloud. The powerful military-grade encryption it provides for every stage of the process is just the cherry on top. 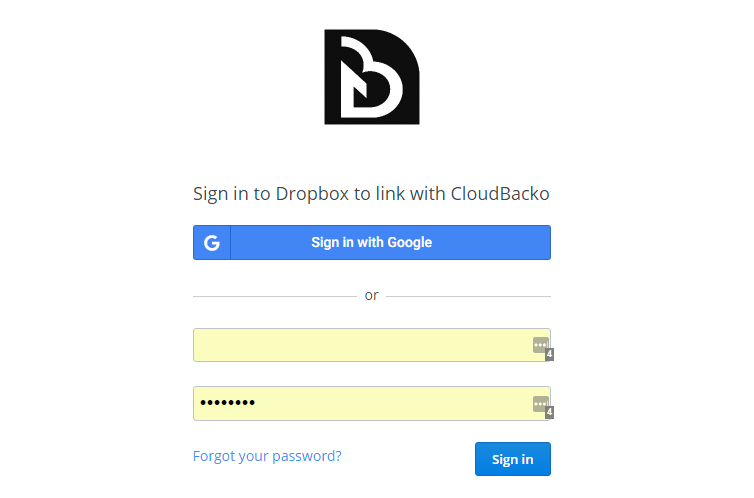 If we so desire, CloudBacko allows us to create a backup for all popular providers at the same time. This way, we will have multiple secure copies in several different remote or local destinations, which we can determine through the client's settings. We will be putting CloudBacko under strenuous tests in the foreseeable future. 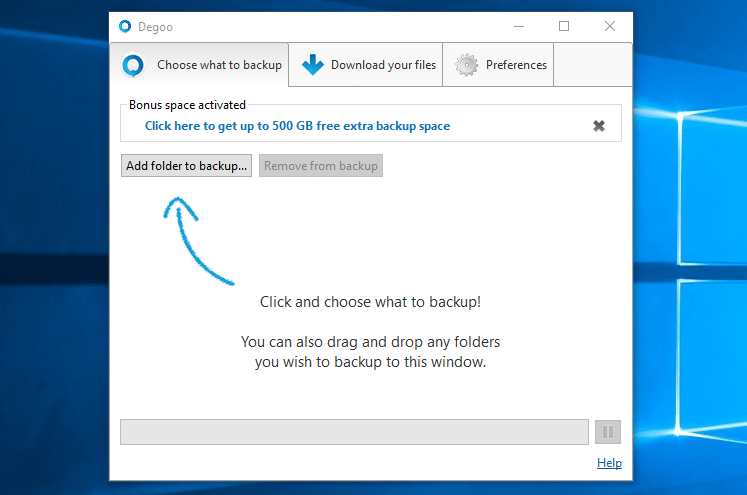 A future guide to CloudBacko Home, which is designed to create secure backups in computers using Windows and Mac, might be a possibility. Do you value quantity or quality? If you have any questions or want to mention which cloud backup service you prefer, let us know in the comments down below.